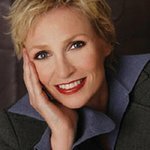 Glee’s Jane Lynch is the latest star to join PETA's campaign to encourage people to neuter or spay their pets. 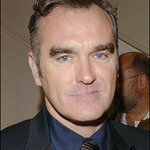 The star has recorded a PSA for the organization to help decrease the animal overpopulation crisis in the US. The star has also written a letter to Chicago mayor Richard Daley, urging him to pass a law requiring city residents to spay or neuter their pets. “As you know, every year Chicago’s animal shelters are forced to euthanize thousands of unwanted dogs and cats simply because there aren’t enough good homes for them all,” wrote the actress. "Countless other animals starve, are killed by vehicles, or are abused by cruel people on the streets. I am sure you will agree that every dog and cat born into this world deserves a chance at a loving home, but the only way to make that happen is to lower the rate of animal births, and the only way to accomplish that is through legislation that imposes some basic requirements on people who wish to breed animals for sale. “Of course, Chicago would be in good company if it were to pass such a measure. Cities across the nation, including Los Angeles, West Hollywood, Sacramento, Denver, Houston, and New York, have either mandated spaying and neutering, instituted differential licensing, or placed restrictions on breeding and/or the sale of puppies and kittens in pet shops. “Not only would preventing animals from being born into a world bursting at the seams with unwanted dogs and cats mean that fewer animals would be dying for homes in Chicagoland’s shelters, it would also save taxpayers precious funds that are currently spent on picking up, sheltering, and euthanizing the city’s unwanted and unadopted animals. You can watch Jane’s new PSA here.